Category Archives for "Week on Coin Street"
Regular followers of my weekly market wrap will have notice that more often than not I start off by telling you Bitcoin hit an all time high during the week. This week is no different. Bitcoin hit $20,000 briefly. Twenty thousand US Dollars for a single one. That’s bonkers, mental, crazy, wild, insane. Add into the mix the fact the Lite Coin and Ethereum also saw their all time highs this week and consider the fact that the total market cap for all crypto currencies soared past $400 billion. So a pretty standard week in some respects but not exactly normal either. A further word of caution for those readers who are still learning about the space and how to get involved. We have been hearing more regular reports about newcomers getting involved in CFDs and other such risky investments. We don’t offer investment advice here, but we do urge caution as it can be complicated and confusing at first. Coin Street have a free beginners guide which you can access here and which will guide you through the basics. Take your time if you intend to make the leap into a crypto investment and above all make sure you are getting what you pay for. A CFD doesn’t actually buy you any coin, it’s just a complicated and confusing way of betting on Bitcoin and a sure way to lose your money if you don’t know exactly what you are doing. If in doubt just ask. We have an active community of admins and members on Facebook who are always happy to guide the way. Remember, the easiest and safest way to buy Bitcoin is via Coinbase. BBC Bitcoin. I’m part of a crazy wave. A study conducted by Dr. Garrick Hileman and Michel Rauchs in March of 2017 revealed that the number of active users of bitcoin wallets was in the range of 2.9 million and 5.8 million. TL:DR The Treasury said Bitcoin is a major thing now. The financial and investment press just can’t get enough of Bitcoin. That’s pretty momentous news for us. Why don’t you pat yourself on the back and invite a friend to join the party, We even have a chat group for newcomers to crypto with some friendly souls who would love to hear from you and answer all your questions. Check it out. Hey, have we talked about the kitties yet? That’s all for this week. It’s a fast moving space. They say one week in crypto is a year in the real world. Can we ask one favor please? Please share “This Week on Coin Street” on Facebook or send to a friend by Email. We’re back after taking a week off stuffing our faces with Thanksgiving turkey. Fortunately not much happened in crypto, it’s been positively quiet out there. Apart from …. another new all time high with Bitcoin touching $12,000 for the first time…. the CME confirming a date for the launch of their BTC derivative futures product and the Commodity Futures Trading Commission, the main US markets regulator, giving the green light for the very same listing. Oh and the Nasdaq are not going to be far behind. Yeah you’re right, that’s massive. In fact, it’s arguably the biggest thing to hit the crypto space since Satoshi released his original white paper nine years ago. Just to recap: the Chicago Mercantile Exchange is the biggest derivatives exchange in the world and by listing a Bitcoin product it gives investors a familiar and reputable vehicle to access the Bitcoin space without having to touch the actual coin or go near a less well known or time served portal. Of course, it also provides a means to ‘short’ bitcoin. We could be in for a bumpy ride – even by Bitcoin standards! It’s always difficult to predict what effect news will have on price action but it’s almost certainly bullish in a longer time frame. Short term, Wall Street may want to teach the crypto space some manners by shorting the price as hard as they can. By the same token the upward trend is strong and the hype across the globe is at fever pitch so there may just be enough buyers to buy into the short and keep this train rolling. Only time will tell but one thing is for sure, December is promising to be every bit as exciting a month in crypto as all the months before it. It’s like a soap opera round here sometimes and you couldn’t make up the story line. Talking of which, it didn’t escape our notice that The Big Bang Theory dedicated a whole episode to Bitcoin and crypto this week. A word of caution for those readers who are still learning about the space and how to get involved. We have been hearing more regular reports about newcomers getting involved in CFDs and other such risky investments. We don’t offer investment advice here, but we do urge caution as it can be complicated and confusing at first. Coin Street have a free beginners guide which you can access here and which will guide you through the basics. Take your time if you intend to make the leap into a crypto investment and above all make sure you are getting what you pay for. A CFD doesn’t actually buy you any coin, it’s just a complicated and confusing way of betting on Bitcoin and a sure way to lose your money if you don’t know exactly what you are doing. If in doubt just ask. We have an active community of admins and members on Facebook who are always happy to guide the way. Bitcoin is a speculative asset and people who invest in it do so at their own risk, the Bank of France Governor Francois Villeroy de Galhau warned on Friday after recent volatile trading. You can pay your rent in Bitcoin in Brooklyn. Digital rent processor ManageGo is integrating bitcoin, litecoin and ethereum into its payment app, and will soon allow tenants to use these cryptocurrencies to pay rent every month. 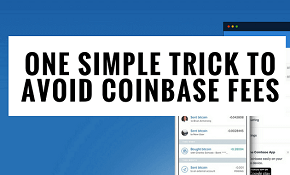 Using Coinbase’s application programming interface (API), the app will convert any digital currency sent as payment into U.S. dollars, which will then be sent on to the landlords who use the platform to manage relationships with their tenants. Tezos Founders Ask Foundation to Help Pay Legal Bills in ICO Suits. And finally our favourite crytpo crazy John Mcafee has a new long term bitcoin prediction. It’s been a big news week for crypto and the take away has to be this: Bitcoin is unstoppable. As I write this tonight, Bitcoin is sailing through the $8000 mark to reach another new all time high. Every week Bitcoin fights off the rumours, the challenges, the outright attacks and just keeps on rolling. This week we have conformation of the CME futures product, talk of mass integration on a major payment platform and more big players either entering the market for the first time or doubling down on their positions. CME lines up Bitcoin futures before the end of the year. Square’s Cash App: A New Place To Buy And Sell Bitcoin? Some customers of Square’s Cash app have gotten a surprise in the past week. The crypto currency world has never been boring, far from it, however this week has been so jam packed with mind boggling events, conspiracy theories and plot twists that it seems like the whole space is being driven by a team of Hollywood script writers and producers. First Bitcoin hit another all time high of a little over $8000, then the Segwit2x fork cancels out of nowhere, (Source) this pumps the price even higher momentarily before everyone remembers that they were only in it for the free 2x coin and Bitcoin takes a nose dive. Cue a couple of days of outrageous market movements in most of the alt coins, with many seeing 30-60% gains daily and then, just when the dust was beginning to settle the Bitcoin Cash crew led by Roger Ver the original Bitcoin Jesus pull all the stops out with their story that Bitcoin Cash is Bitcoin and somehow pull it off sending the price catapulting over 200% to as high as $2400. Confused? Me too. It’s almost too convoluted to attempt to explain, basically there is a power struggle going on between two factions of the Bitcoin camp. If you don’t know why there are two Bitcoins, better go and get an overview of forks. Both believe they are the truest and closest version of the original founders plan and computer code. The miners, the people who use huge computers to solve the algorithm and ‘find’ Bitcoins can only mine one or the other at any one time, this means the computing power is fluctuating between the two as miners try to determine loyalty (and profitability). One consequence of this is that time it takes to confirm a Bitcoin transaction has gone up significantly, as has the cost of the transaction fee. This is a vicious circle because it then makes Bitcoin Cash appear to be more attractive as it boasts faster and cheaper transactions. I’m not sure I even have the energy to opine on Parity Wallet having an amateur hacker ‘rattle their doors’ and end up freezing somewhere in the region of $400m Ethereum. Read about it in the roundup below and I’ll bring more on it when we find out what happens next. No-one ever said crypto was straightforward. Reid’s basic contention is this: The dominance of the fiat currency system since Richard Nixon decoupled gold from the dollar in 1971 “is inherently unstable and prone to high inflation,” and an offsetting disinflationary shock that kept it afloat since 1980 is now slowly reversing. This is how the CME’s Bitcoin circuit breaker would work. The Chair of the SEC says all ICOs will have to register as Securities. As I write this the price of a single Bitcoin has cruised through $7500. Seven and a half thousand dollars each. That is quite simply incredible. Every threshold, resistance, trend line and projection has been smashed. Every week I say a correction must be coming just round the corner and every week Bitcoin hits an all time high. The train just keeps rolling. The big story this week and probably the reason, at least in part, for the most recent surge in price is the news from the CME group that they are going to be offering Bitcoin futures as a derivative product before the end of the year. (Source). If you don’t know who the CME are or why that’s a big deal, let me break it down for you quite simply. The Chicago Mercantile Exchange is the worlds largest and most diverse derivatives market place. It is bigger than any equivalent in any city including New York or London. Every giant wall street hedge fund, every back alley trading firm, every Joe sole trading broker in every corner of the world has an account with the CME and access to their products. Listing a Bitcoin futures product is not only unheard of, it enables access to the space like we have never seen before. It gives everyone from retail mom and pop investors right through to giant multi billion dollar hedge funds access to Bitcoin in a safe, reliable fashion through a recognised and familiar avenue without actually ever being exposed to the complicated and often confusing world of actually buying bitcoin. This is as big a piece of news as Bitcoin has arguably ever seen. With the promise of this sort of exposure to the retail markets who knows what this will mean for the price longer term. One thing is for sure there is only one game in town. The alt coins have no choice but to sit on the sidelines and hope they get a look in soon. Bitcoin is back to 60% market dominance. The sheriff of crypto is here and he’s laying down the law. Bill Miller, former chairman of Legg Mason Value Trust mutual fund, and current chairman of Miller Value Partners LLC, has revealed that bitcoin holdings comprise approximately 30% of the assets in Miller Value Partner’s MVP 1 hedge fund. Coinbase adds 100,000 new users in one day. Canadian VC gets caught bare faced lying. Bitcoin mining is outrageously energy inefficient. Furthermore, when using barrels of oil as the metric it doesn’t look any rosier with the total Bitcoin mining industry using 13,239,916 barrels of oil equivalent. (Source). Norwegian mining company launches first asset backed ICO. And finally, as usual, we finish with someone saying Bitcoin is a bubble. It’s been a more normal week for crypto (as oxymoronic as that might sound). Bitcoin has retraced from an all time high but found good support around the $5750 mark and has been trading sideways for a few days. Alts have seen some degree of recovery although most are still a long way from their all time highs earlier in the year. News of regulations, adoption and innovation abound and all contribute to legitimising the space and making it more accessible and mainstream. The huge volatility in the markets continues to temp in speculators but at the same time provokes caution in retail investors. The next big event in the crypto space is the Segwit 2x fork in November (around the 16th). Until then investors are holding their breath. It’s anyones guess what’s going to happen to prices just before and after the fork, experience and logic suggests we will see another run up in Bitcoin prices in the days before and quite possibly a decent correction just after. However this is crypto and one thing we have learned for sure is to expect the unexpected. My big news pick for the week is fresh out the box and has far reaching ramifications. A recent report from the UK Government’s Treasury department has determined that crypto currencies pose a low risk for terrorist financing and their use for money laundering also remains relatively low. This is important because crypto currencies are plagued with the viewpoint that they are popular with drug dealers, terrorists and otherwise nefarious characters and industries. Proponents of our industry have long know this is ridiculous and that compared to cash crypto is actually far more traceable and accountable which therefore makes it less attractive to the underworld, not more. However to have a major world government come to this conclusion is major news. (Source). You may have heard the word fork being used a great deal lately. The rogue fork Bitcoin Gold has come and gone without having much effect on the BTC market so all eyes are now on the Segwit 2x fork in November. In very simple terms, a fork is when the developers of a crypto currency alter the code so that a new version of the coin in born. Read more here if you wish to gain a greater understanding of forks and forking. More Wall Street firms jumping into crypto. Russia promises regulations will not stifle ICOs. Mastercard opens access to it’s Blockchain tech. Mastercard has opened its blockchain technology up to developers, allowing financial institutions and merchants on a selective basis to start testing their own blockchain-based solutions. Saudi Arabia doesn’t think Bitcoin warrants regulation, yet. Samsung made a mining rig out of old mobile phones. On-line Plc jumped as much as 394 percent on Friday after announcing plans to change its name to On-line Blockchain Plc, following an initial climb of 19 percent on Thursday when it first announced the news. Another week, another all time high for Bitcoin. Since my update last week Bitcoin has risen another $400 topping out at $6150 at the time of writing. This is obviously great news for Bitcoin enthusiasts and holders, but it’s bad news for alt coins. Almost across the board, alts are down, many of them bleeding badly as value continues to be stripped out and invested in Bitcoin. Although at first glance the market for Bitcoin looks Bullish, I would argue that the overall sentiment is fairly Bearish. Alts are in free fall and there looks to be more and more shorts building against Bitcoin in the margin sites. A correction is due in my opinion, whether it turns out to be a short term pull back or a major trend reversal remains to be seen. IBM backed a little known cryptocurrency. Bernanke is big on blockchain. Ripple and the Gates foundation team up. Japan now account for over 60% of all Bitcoin transaction volume. Australia continue their pro-regulation stance. And finally the family who gave up everything for Bitcoin. It’s been a big week for Bitcoin and Ethereum. Bitcoin hit a new all-time high above $5800 and Ethereum finally pushed past the $300 mark which has been a big resistance for the past couple of months. As seems to happen when Bitcoin goes on a run, almost every alt coin tumbled as people exited alts and piled into Bitcoin. Much of this rise was presumably due to investors hoping to accumulate Bitcoin Gold from an upcoming fork of the Bitcoin network. Holders hope to benefit from the ‘airdropped’ Bitcoin Gold in the same way that Bitcoin Cash appeared on the scene over the summer. It also seems like there is new money entering the space. The total market cap increasing by some $30billion only a few days. (Editors note – the current market cap of Bitcoin alone is now more than that of Goldman Sachs and Morgan Stanley – see Zerohedge’s coverage here). Given this influx of cash it seems like the market has accepted and priced in all the news coming out of China, Russia and elsewhere . As far as coverage goes, it feels like the mainstream media are ramping up their reporting of the space. We see Bitcoin headlines every day on CNBC, BBC, Reuters and all other major news outlets which all increases awareness of the space. We have turned a bit of a corner recently. Crypto feels accessible and comfortable right now, people are interested, taking notice and starting to explore the space. It’s great to see and I’m excited to be a part of it as always. Hackers broke into Amazons cloud and used it to mine Crypto. The first Ethereum ETN listed on the Stockholm Nasdaq. The IMF’s Christine Lagarde talks big on Blockchain. The JPMorgan CEO launched another attack on Bitcoin, adding that it was the last time he’d discuss the issue. The very next day, he went back for more. Again see Zerohedge’s coverage here. What email should I send "This Week on Coin Street" to.